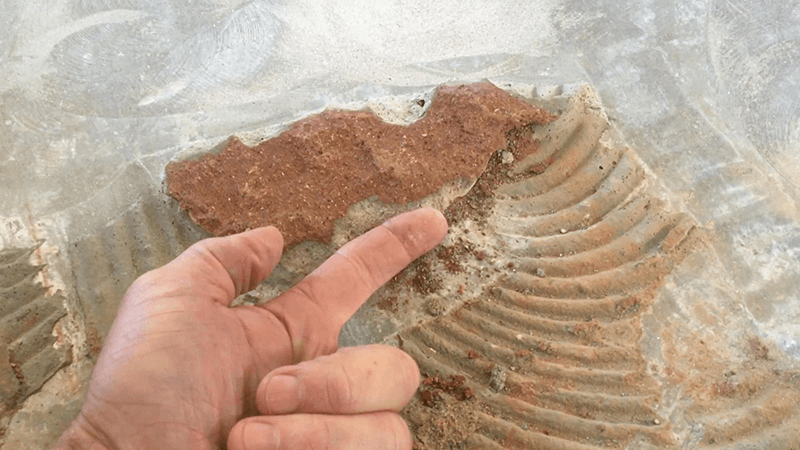 The DustRam System tile removal process flattens the higher spots, while preserving the thinset in the lower spots. There are rare cases where a customer has issues with a floor not being level, and we can definitely assist with leveling your concrete floor or where they need concrete floor grinding for hardwood floor installation. Our dustless equipment that removes thinset is currently patent pending. After you watch these dust free thinset floor removal videos, call us TODAY for your removal project: (480) 506-6030 We’ll be glad to answer your questions or set up an on-site visit to discuss how our dust free removal process can benefit you. We specialize in residential flooring remodels, and removing thinset without dust is part of the process that most homeowners prefer. The removal of thinset from concrete floors can be a messy, dirty process without the proper equipment and knowledge. As you can tell from the picture to the right, this is a great before and after image of what to expect when your thinset has been removed safely and dust free! We have a special process of removing floor tile and thinset, that eliminates any dust! After thinset is removed from concrete. 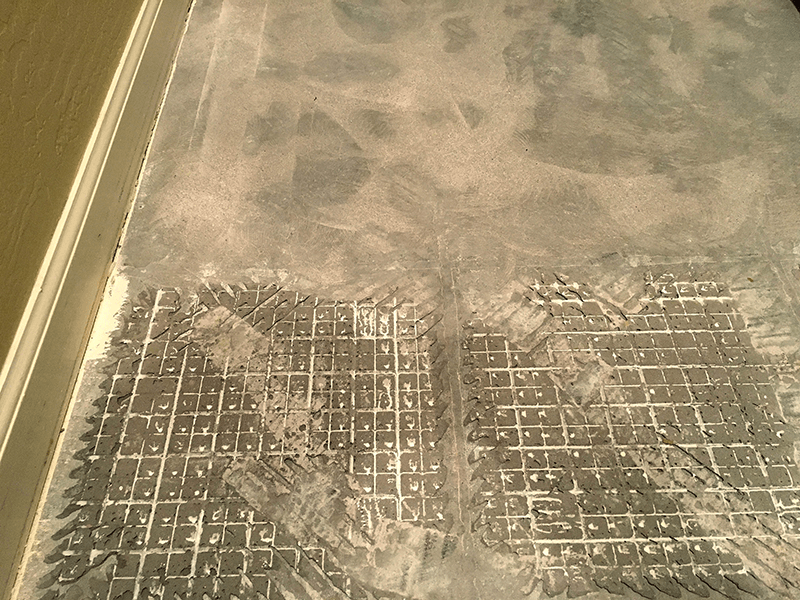 Image of what it typically looks like after Kodiak Tile and Stone has removed your thinset dustless! See the mottling effect in the picture to the right? 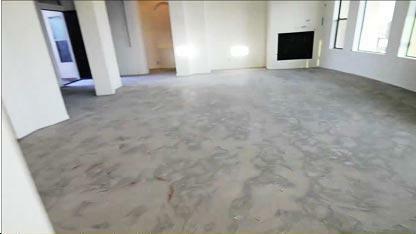 Most concrete floors have minor imperfections in the sub floor surface. Our patented process of removing the thinset makes concrete floors smoother, flatter and closer to being installation ready. During the thinset removing process, our DustRam® grinding tools reduce or minimize high spots in your concrete or tile cement board – resulting in dramatically flatter sub floors. Some contracting companies use powerful hammer drills incorrectly during ceramic tile concrete removal which severely damages the surface of your concrete sub floor and incurs additional unanticipated repair costs. We remove floor tile with an extremely clean method we have perfected, and our competitors do it in the usual messy, dusty fashion, leaving your whole house covered in fine dust.